(APN) ATLANTA — In an unusual upset of an incumbent, moderate Democrat in the State House, progressive activist Renitta Shannon defeated State Rep. Rahn Mayo (D-Decatur) in House District 84 during Tuesday’s Democratic Primary Election, May 24, 2016. In addition, Brenda Lopez became the first Latina elected to the State House of Representatives, by winning an open Democratic-leaning House seat in Gwinnett County. Atlanta Progressive News spoke with both Democratic nominees in our review of the Primary Results. APN will also publish shortly our overview of the Primary results for State House and Senate races and other races that we have been following. Incumbent State Rep. Rahn Mayo (D-Decatur) was defeated by challenger, Renitta Shannon, a progressive activist who has done work with such organizations as Moral Monday Georgia, Georgia STAND UP, and the Progressive Change Campaign Committee. Shannon received the endorsement of Atlanta Progressive News, after our Board of Directors was most impressed with her questionnaire responses and activist work. Shannon received 53.47 percent of the vote to Mayo’s 46.53 percent. Shannon began campaigning in August 2015, and claims that the secret to her success can be attributed to her early start and meeting, individually, with each voter in her large district at least twice. Shannon’s victory is a triumph for the struggling progressive agenda in Georgia. Shannon’s platform is more in alignment with the voters of Decatur-based District 84. Mayo, for example, had supported the Georgia Charter School Commission legislation, which gave a new Commission authority to override the decisions of local school board and the State Board of Education regarding new charter school applications. Shannon sent out at least one mail piece that highlighted Mayo’s absenteeism issues, noting that he had not even participated in some one-fourth of House Floor votes. “The voter outreach was key, along with my ability to be efficient with the resources I had. It is very difficult to raise money against an incumbent, so I was very strategic in how I used the funds I had,” Shannon told Atlanta Progressive News. 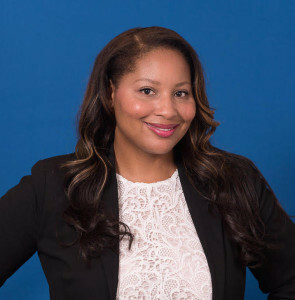 “I am going to get to know my colleagues in the the Democratic caucus, and continue to build on the community connections we built throughout the campaign,” Shannon said. “I recognize that this race was close, and not everyone in my district voted for me. Rep. Mayo and I have talked, and we are all about building cohesiveness within the community and moving forward for a productive 2017 Legislative Session,” Shannon said. Shannon will not face a Republican challenger in the November general election. In House District 99, Brenda Lopez defeated Jay Trevari in the Democratic Primary, receiving 57.79 percent of the vote to Trevari’s 42.21 percent, to become the first Hispanic woman to serve in the Georgia House. Longtime State Rep. Hugh Floyd (D-Norcross) retired this year. Lopez is the Vice President of the Georgia Democratic Party Latino Caucus. “I am so happy for all the volunteers who motivated so many people to come out and vote. The goal was to work hard and talk directly to voters, and we did that,” Lopez told APN. “This was a team effort from the beginning, this was not just about me running and me winning, this was about us,” Lopez said. “I am going to reach out to my new colleagues in the Democratic Caucus, plan for the upcoming Legislative Session, and I will be continuing the community engagement by holding monthly meetings starting in June,” Lopez said.